Octavia was first released by Skoda back in the year 1996 and since then they have been doing pretty well in maintaining their image in automotive market. 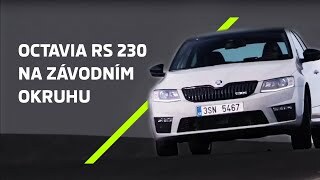 In lieu to same, the Czech automaker has recently unveiled the all new Skoda Octavia RS 230 2016. The model is a special version to ancestor RS model and is speculated to have better features and performance figures. 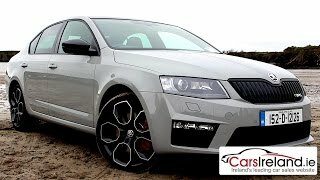 Let us have a look at the review of Skoda Octavia RS 230 2016 to know more about it. The interior of Skoda Octavia RS 230 2016 is mostly a carryover of the predecessor model, but wait!! It isn’t entirely the same as you saw last year. Company has housed some extra goodies in it to make this model special for its buyers and may to also sustain in this competitive automotive market. Talking about the extra goodies, it has chrome finished door handles and a center armrest with a storage box for your little things. There is also a driver’s vanity mirror housed at ‘just the right’ position while the three-spoke leather wrapped steering wheel not just adds to looks but also provides perfect grip. The Kick plates get the touch of RS while the front seats are now equipped with height-adjustable feature with rear windows joining the power trend. In all talking about the details of the interior of Skoda Octavia RS 230 2016 I would say what has been carried forward was good and the rest that has been integrated is worth a touch and look. 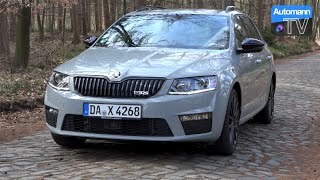 Just like the interior, the exterior of Skoda Octavia RS 230 2016 is also ‘mostly carried from past’ but again we do have a few new integrations. Taking a closer look beneath the doors, you will notice better defined scallops that add bit to the looks. Rolling over those massive 18” alloy wheels the model splatters aggression over street. With its headlights being bi-xenon and the taillights being LED, the 2015 model has new aggressive rear diffuser that comes with integrated exhaust tips. The setup is placed beneath the redesigned bumper. 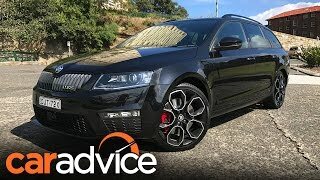 By the end rounding up the exterior details of Skoda Octavia RS 230 2016 I would say company could have made little more changes to make the model look better. Beneath the hood of Skoda Octavia RS 230 2016 is a powerful 2.0 liter TSI engine generating total output of 230 hp and comes paired to six-speed manual transmission. 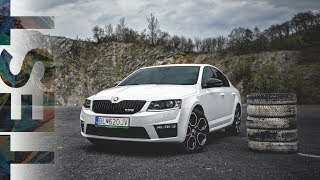 With this power rolling the massive wheels and elegant body, the top speed of Skoda Octavia RS 230 2016 touches the mark of 155 mph while the 0-62 mph sprint can be knocked in 6.7 seconds.